Junior Achievement from Harvard Graduate School of Business in 1943. He was a member of the United States Naval Reserve during World War II. 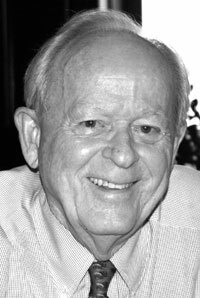 From 1994 to 1954, David Stedman was vice president of the Stedman Manufacturing Company, an Asheboro firm producing men and boys' sportswear and underwear. In 1954, he was named executive vice president of the company, as well as president in 1955 of Stedman Hosiery Mills. In 1960, he was named president of Stedman Manufacturing Company. In 1962, Stedman earned a master's degree from George Washington University in Astronomy. For a time, he taught Astronomy part-time at the University of North Carolina's Women's College (now UNC Greensboro), while continuing to act as a textile executive. He chaired the North Carolina Citizens for Business & Industry during 1982 - 1983. He sold his textile firm to the Sara Lee Corporation in the mid-1980s, as well as other some textile subsidiaries to other business companies. He always has been active in the community and the education center at the North Carolina Zoo is named after Stedman to honor his longtime support for the zoo. Stedman has co-authored two books, Rediscovering the Ideas of Liberty (1995) and Our Ageless Constitution (1987). In 1943, he married Sarah Elizabeth White of Statesville and the couple had three children. 2005 Copyright. CommunicationSolutions/ISI for web site and content.